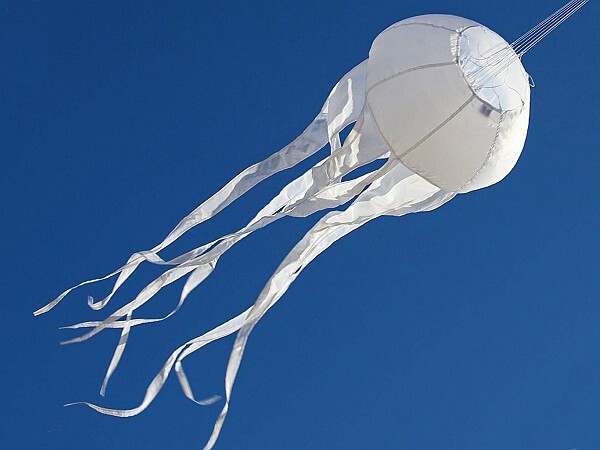 These super Jellyfish windsocks can be attached to flying line for an eyecatching sky accessory. Made from Nylon fabric, the body inflates in the wind with realistic flowing tentacles. Comes in fabric drawstring stuff-bag.